A couple of weeks ago we launched our Sea of Thieves interactive world map! 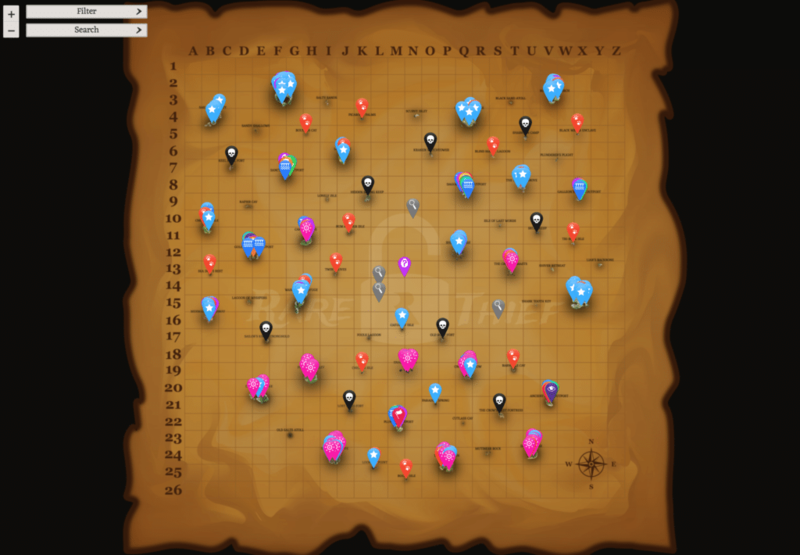 This handy map pins outposts, skeleton forts, Easter Eggs, riddle quest clues and much more! If you have any suggestsions or feedback, please feel free to comment here or get in contact with us at @RareThief on Twitter. We will be hard at work to continuously update the map with new locations as we find and record them. Enjoy! Amir, Hello! My name is Yura! I live in Russia, and the other day I downloaded your app! It is very wonderful and the game helps a lot! I would like to offer you my assistance in translation and adaptation for the Russian-speaking audience, your application and website! If my proposal you interested in, contact with me in any time soon! Since your application is not enough the Russian localization! With respect, Yura! Hello Yura 🙂 Thank you for reaching out! Would you mind sending an email over to [email protected] and we can discuss your proposal further? We look forward to hearing from you! Hello and thank you for this really useful map! I have a suggestion for two additional features: an option to change the text font of the map, and an option to export the map to a bitmap of any size (without the watermark if possible). With a little image processing, this would allow me and others to create printable maps in a custom style. The only available high-resolution map that can currently be found online is an outdated version, and I would really love to create something similar, and your app would be a great basis. Or if not an exportable bitmap, if not without watermark. Could we perchance be able to get this in an offline format, or as an applet? I love this tool, but the overhead of a web browser is enough to reduce my performance in-game. I have tried the app, however, since I do not have a tablet I am severely limited in screen real estate with my phone which is an incredibly important element of a map. If I could have this open on a second monitor without any extraneous overhead like that caused by a web browser, I would be sooo happy. Hello! Thank you for the heads up on the shipwrecks! We will get them added in the next update. New islands have been added to the game. Will they be added to the map? Which islands have been added? I know in September Rare has said a new area will be released. No new islands were added. 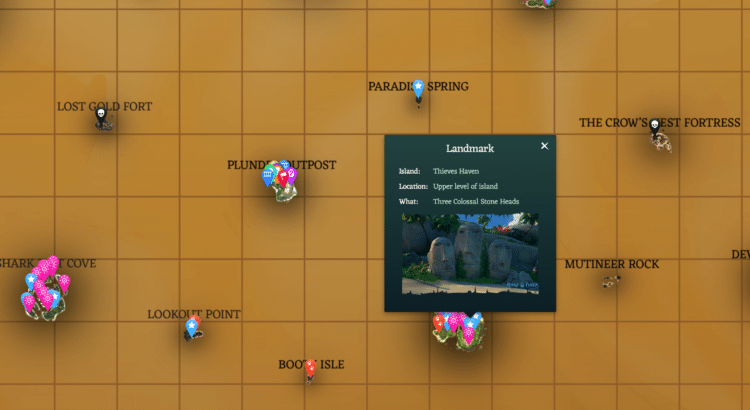 There are some nameless islands missing on the map (coordinates N10, L14, L15, and S16), but they have been there since release. And they have no resources for trading anyway. Oh okay, yeah we have those listed as Uncharted Islands. But yeah, any time new islands get added we will be putting them on the map!